Hell yes, and he dosen't even have dental problems. I eat one chocolate and worry about gaining five pounds but not him! Your Kidding??? u should be the happiest girl in the world! 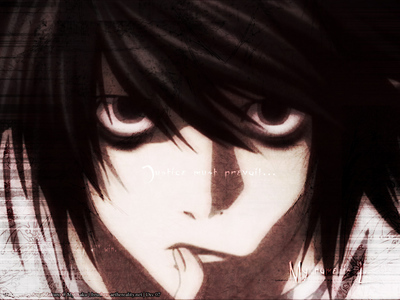 I would love it if my boyfriend would be like L! u ARE THE LUCKIEST GIRL IN THE UNIVERSE BE HAPPY u FOUND SOMEONE LIKE L! THE CHANCES OF SOMEONE BEING THAT SIMALAR TO L IS 1 IN A GIZILLION! IT'S NOT AT ALL CREEPY IT'S A MIRACLE! !